If you noticed in August, my book posts were also noticeably absent. I did read some, but not at all as much as I was hoping to. Since I feel like I’m living my life one week — or maybe even more like one day? — at a time right now, I decided to experiment with doing weekly book posts instead of monthly book posts. — I’ve had this one started for quite awhile, and it’s good. It’s just deep and it’s taking me awhile to get through! — I’m over halfway done with this book. I’ve been reading a little bit every morning as part of my morning devotion time. It’s been thought-provoking! — Michael Hyatt recommended this one and, so far, it’s been challenging and inspiring. I can’t wait to finish it and start implementing some of the principles! — I started this one last week and am eating it up! I can so relate to the perfectionist tendencies they describe in this book and it’s an area that I’m really working on right now. — I’ve not started this book yet, but am hoping to have some down time this weekend so I can actually read a fiction book from cover to cover. It’s been quite awhile since I’ve done that and I’m itching to just get lost in a good story! — We’re reading this aloud at lunch time and the kids are really enjoying it. It’s an easy read, but entertaining so far. — One of the perks of being an author & blogger is getting to read pre-release copies of great books like this! 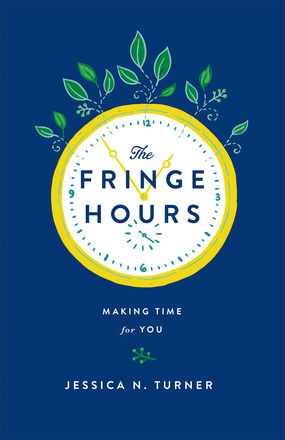 If you feel overwhelmed with life and can’t seem to find time to recharge your batteries, I wholeheartedly encourage you to pre-order a copy of this book. I’ve long admired how , and yet still have time for things she loves — like hanging out with friends and family, scrapbooking, and blogging. In , she unveils her secrets to success and gives you the tools, tips, and techniques you can use to find time in your full schedule to refresh yourself and refill your tank, too. You can . What are you reading right now? Any book recommendations for me? Looking for more? Read more posts about Books I'm Reading in 2014. My own book reading went to the back burner during August while I soaked up the last of summer however I am planning to read an oldie (1978) The Road Less Traveled by M. Scott Peck. Here’s to a lot more reading now that August is over! I’ve missed it! I can’t wait to hear what you think about ” I Thought It Was Just Me (But It Isn’t). I’ve had the book for awhile and totally understand it taking awhile to get through. It is very thought provoking. Great book for this season of my life and a fun read. I just finished reading Behind Enemy Lines about a French Jewish woman who becomes a spy and enters Germany to learn about the Nazis moves and strategies during WWII. Very good! I’m looking forward to these weekly book wrap ups. Thank you for a new-to-me book recommendation! That one looks SO good! I just finished “One-Way Love” by Tullian Tchividjian and honestly, it’s rocked my world. Highly recommend! I just began a new book called, “Give them grace, dazzling your kids with the love of Jesus” and I can’t wait to get past the forward, lol! Thanks for your book recommendations! Oh, One-Way Love sounds SO good! I’m currently reading a new fiction book to review on my blog–With Every Breath, by Elizabeth Camden. Loving it so far! I’m also a few chapters into Chasing God by Angie Smith, on my Kindle…very good and thought-provoking! I’ve loved almost all of Austin’s books, so I’m excited to read this one… and that makes me even more excited to hear it was one of your favorites! I usually have 2-4 going at once. Mostly because I’m not always in the mood for the same kind of book, so I find that I get more reading done if I have a few different titles going at once. That’s the kids book we are reading right now too. We love Beverly Cleary! I’m reading Boundaries. I think you posted that you were reading it a few weeks back. Curious what your thoughts on it are. I’ve not started it yet… but I hope to this month! This book was a gamechanger for me. Our women’s Bible study group read this and it helped me a lot! “Boundaries” is completely life-changing, especially for those of us raised without. I refer back to it a lot! More than any other book, this has changed, for the better, my relationships in all aspects of my life – relationship, children, relatives, friends and potential friends. It’s kept me safe and enabled me to start making Godly and wise choices, to the benefit of not just myself, but everyone in my life. Thank you so much for encouraging us to read! I never thought I could have found time to read so many varied books. One of my fave books this summer was “The Simple Faith of Mister Rogers” and I cried a few times reading it. Now I know why so many children loved him so much. Also just read Donald Miller’s “To Own a Dragon” and finishing “Big Little Man” by Alex Tizon. They opened my eyes to struggles men have that I will be praying for from now on (former book for those raised without dads and latter for Asian American men). I’m also reading “The Tastemakers” by David Sax on food trends and their origin. Crystal, you may have shared this before but if you wouldn’t mind, please share where and how you schedule or find the time to read. Reading used to be something I did when I had nothing else to do (before 4 children!). It is important for personal growth and even leisure to read, but I just don’t know how to fit it in anymore. Any advice or guidance or suggestions would be so welcome! -Running for My Life: One Lost Boy’s Journey from the Killing Fields of Sudan to the Olympic Games (I think your kids would enjoy your reading this one to them as well). I found them all inspiring and motivating even though they were easy reads. I want to check out several on your reading list. I read Running for My Life awhile back and was really inspired by it. I hadn’t thought to read it to my kids — great idea! I highly recommend “These Is My Words” by Nancy Turner. It’s excellent fiction and you learn a bit about history from reading it. It’s the diary of a phenomenal young woman who was a pioneer and lived through some of the most atrocious difficulties in settling the Arizona Territory. It’s riveting and also one of the best love stories I’ve ever read. Just finished reading Radical by David Platt, amazing book!! Started You and Me Forever by Francis and Lisa Chan last night. I’m reading “The Enchantress Returns” by Chris Colfer (it’s actually a children’s series about kids that find a door into the fairy tale world) as well as “The Cracker Factory” which is an old school 1970s novel. After those are done, I’ll be starting “The Plum Tree” later this week. Two that I LOVED this summer were “Boys on the Boat,” about the 1936 Olympic 8 man rowing crew that won gold in Berlin, and “Unbroken” about another 1936 Olympian who was shot down in the Pacific during WWII. Angelina Jolie just made it into a movie that is coming out at Christmas. Can’t wait to see it as it was incredibly inspiring to read what this man went through in his life. I think you would love them both as they celebrate hard work and perseverance. BOTH of those are ones I want to read and that have been highly recommended to me! I enjoy your book posts and love to get suggestions from you and from the comments. Audiobooks have been working best for me lately (lots of car time), and sometimes I think the narrator gets me into a book better than I could by reading it. Three recents: The Book Thief, Major Pettigrew’s Last Stand, and Hotel On the Corner of Bitter and Sweet. Pinned for later. Just finishing up happiness project by Rubin and loving it. Thanks for sharing! I just finished The 21-Day Sugar Detox Cookbook and the recipes look great. I thought I’d mention it since you’ve given up sugar. I tried the chicken strips and we loved them (gluten free). 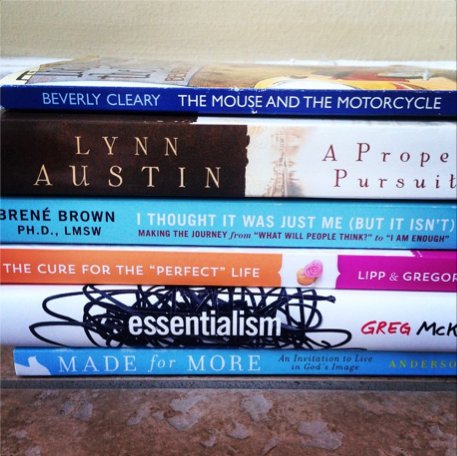 I read quite a bit in August – here are my favorites: The Nesting Place was probably my favorite of the bunch! I’m currently reading The Nesting Place and love it! So liberating! I’m finishing up The 5 Love Languages of Children by Gary Chapman & Ross Campbell. I am also part way through The Priest’s Graveyard by Ted Dekker. He’s kinda out of my normal reading genre but I wanted to branch out a bit. Not entirely sure that I’m hooked just yet. I blogged tonight about my TBR pile for September (). Three young kids (3-1/2 year old twins and a 1 year old) have robbed me of my reading time so I’m making a conscious effort to carve out some reading time at night and trying to stay accountable. I really, really enjoy this weekly reading update! Much more than the monthly one. I love hearing what you have to say about the books you read and selecting ones that I think I’ll like based on your reviews. The shorter and more simplified weekly break down just seems easier to follow, for me anyway. Thanks for keeping us updated =) I love your blog!